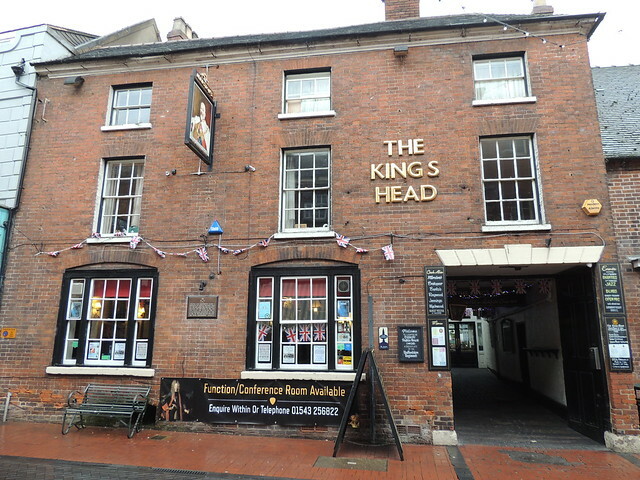 Colonel Luke Lillingston raised a regiment of foot at the Kings Head on the 25th March 1705. 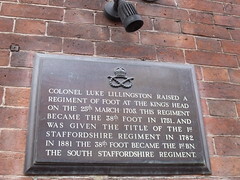 This regiment became the 38th Foot in 1751, and was given the title of the 1st Staffordshire Regiment in 1782. In 1881 the 38th Foot became the 1st Bn, The South Staffordshire Regiment.